As with any service, there are many reasons to hire a professional. Professionals bring their knowledge, training, experience and expertise to the table. 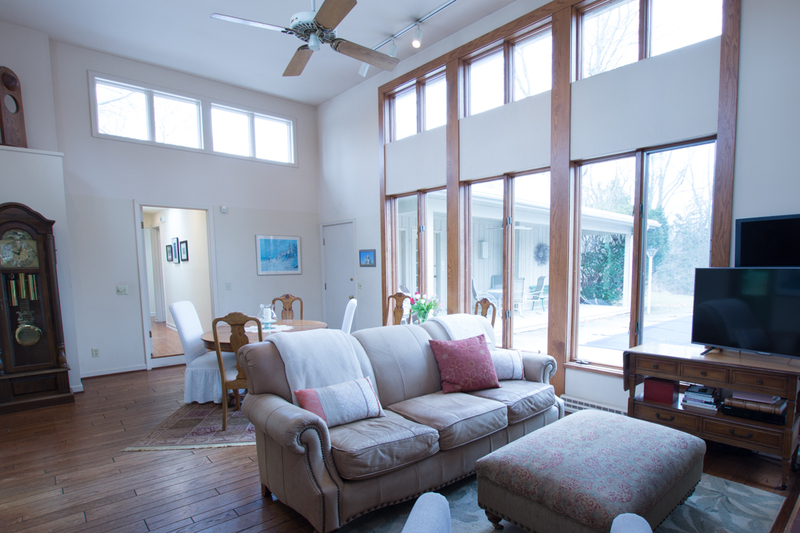 A real estate photographer's role in every project is to consider many factors. An influx of affordable high resolution cameras and enhancements in cameras on mobile phones. Those trying to save money by taking photos themselves or letting staff members take photos. Even though photography equipment is making huge advancements, it means nothing if you don't have the skills or experience to use it. This quite often this results in dull and lackluster photos and emphasiszes the many reasons to hire a professional Real Estate Photographer. This is an example from a recent photo shoot I did with a client. I had my assistant take a pic with her cell iPhone 7, which has a pretty good camera, to show the difference between someone shooting pics themselves vs what a professional photographer can do for you. Warm, inviting and makes people want to buy! 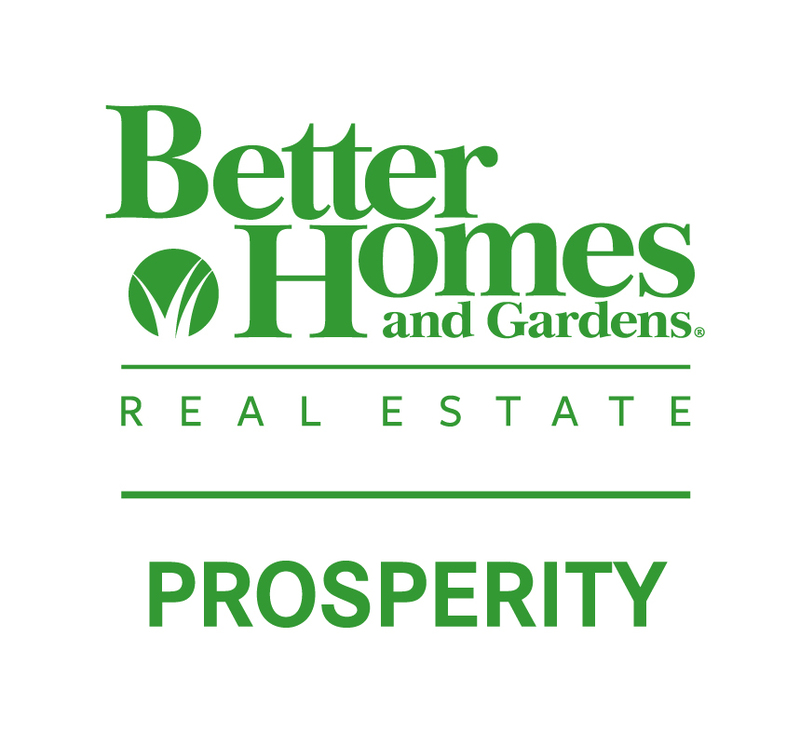 A Real Estate Photographer has the equipment, knowledge and experience to ensure your properties are captured in the highest quality and encourage potential buyers to want to come to your listing, and more importantly, buy! The vertical and horizontal lines of rooms get distorted in many photographs. Due to positioning and camera lenses skewing the perspective, rooms look like they are leaning or tilted. 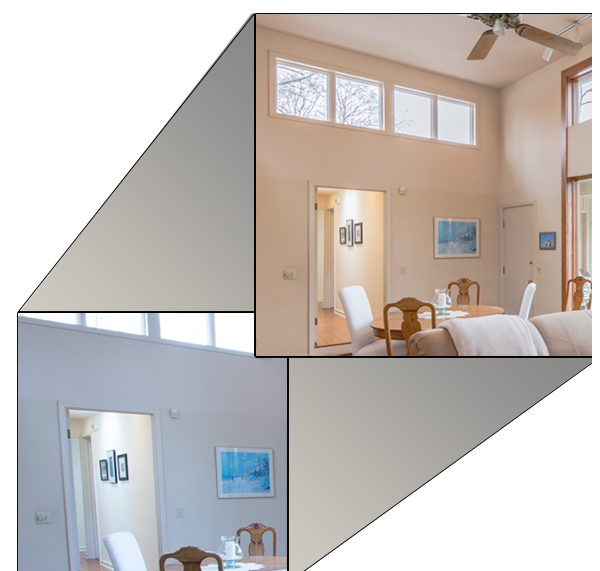 A Real Estate Photographer has specialized "perspective-control" lenses to adjust for this. They also have the experience with post-processing techniques to correct for this to produce a much more pleasing and successful image. 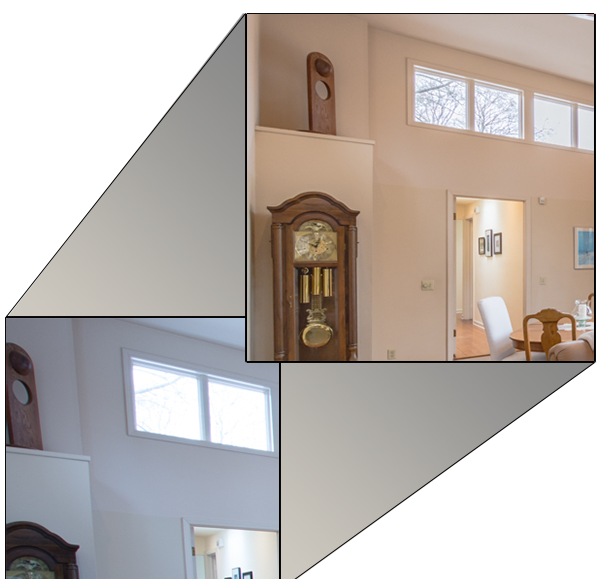 In this example I corrected the tilted walls to eliminate the "funhouse" look. A skilled real estate photographer will turn "blah" to "ohh" on certain aspects of real estate photography. Many rooms have TVs in them nowadays and in photos they appear drab and lifeless. Adding a complimentary scene to the TV can make it pop. Another example of adding life to an aspect of a room is fireplaces. If the Real Estate Photographer cannot turn on the fireplace at the time of the shoot, they can add fire in post. In this example I added a nature scene that complimented the warmth of room. So often when we look at photography, our eyes are drawn to certain aspects of the photos that distract us from the inharent beauty of the scene. An experienced Real Estate Photographer will take the time to remove clutter and possible distractions from the scene prior to taking the photo. Examples would be toys, animals, dishes on counters, remotes on couches, etc. In cases where items cannot be removed at the time of the shoot, a Real Estate Photographer will remove items in post whenever possible. 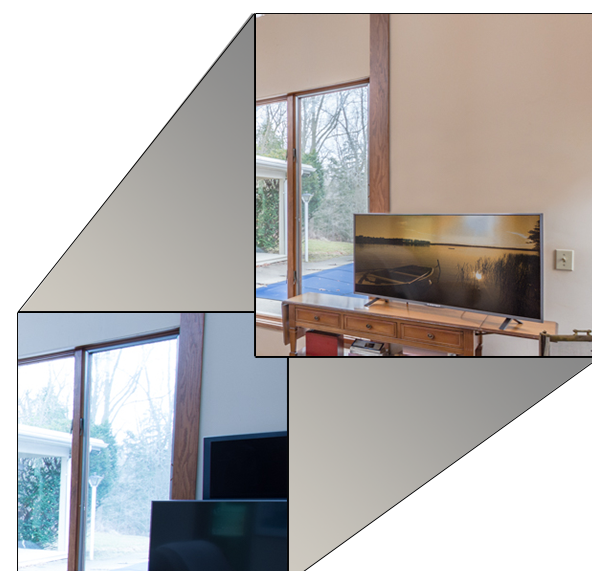 In this example, in post I removed the second, smaller TV that was mounted above the regular TV. Even though there have been tremendous advancements in point-n-shoot cameras and mobile phone cameras, they still struggle with the ability to capture the appropriate lighting in rooms with brightly lit areas like windows. 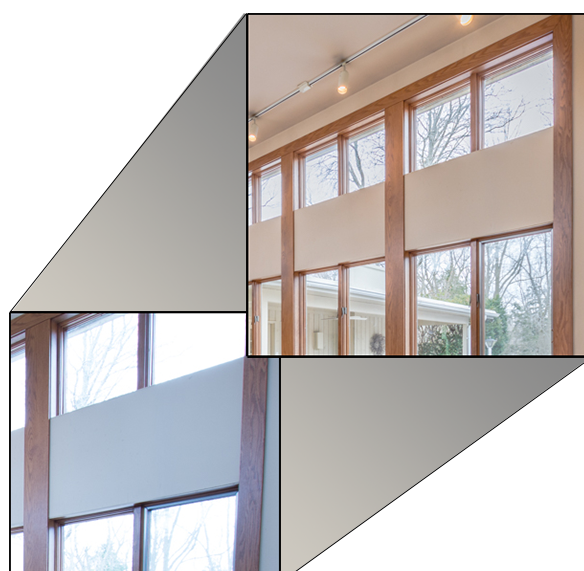 When adjusting for the brightness of the room, windows will look blown out with no detail. A Real Estate Photographer will take many exposures of a room to capture the full detail of all aspects of a room and then merge them in post to give you the high quality and clearest picture of the room and windows. 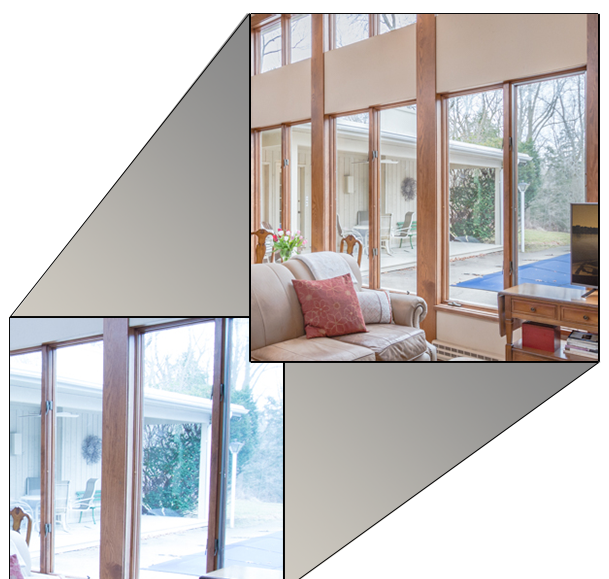 In this example, I took three exposures to capture the natural lighting, a brightly lit room, and a clear window pull. Then I merged all three photos and highlighted the best parts of all three to give the highest quality image. 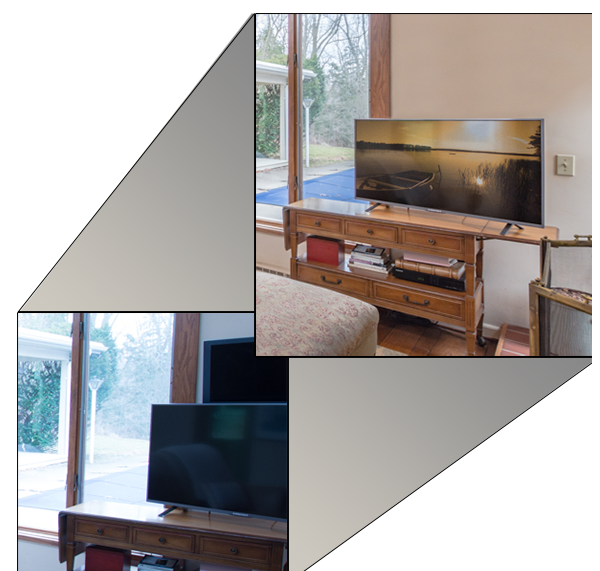 Another deficit of most consumer-grade cameras and mobile phone cameras is the inability to appropriately capture the proper warmth and color of a room. This results in photographs of rooms that are more on the blue side of the spectrum, which is less appealing and almost cold. In this example I adjusted the white balance away from the blue side of the spectrum and more towards the yellow side, which resulted in a photograph with more golden hues that more closely matched the warmth of the sun shining in the windows. This is a much more inviting image to viewers. This is a big one! 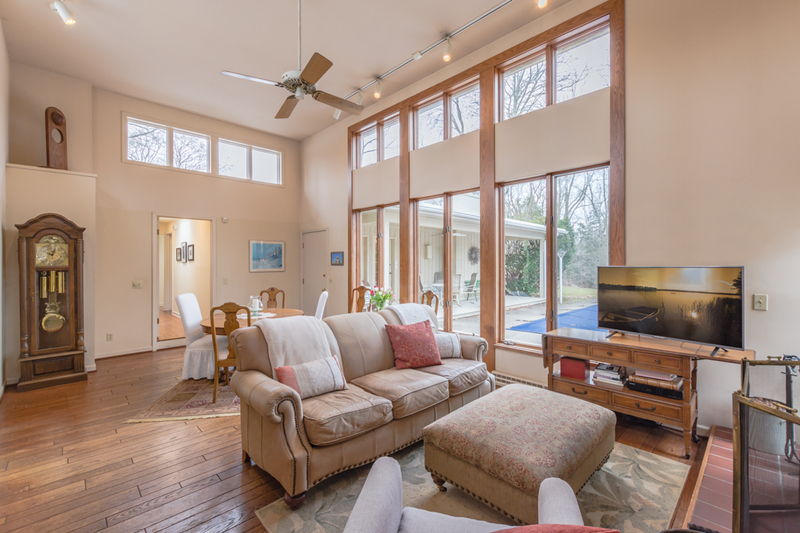 Almost every single professional Real Estate Photographer uses a wide angle lens when taking real estate photos. This is for the singular purpose of capturing as much of the area of a room or property in a single shot as possible. Yet another shortcoming of most point-n-shoot cameras and mobile phone cameras. They simply do not have the capability to do wide-angle shots, resulting in narrow looking spaces. In this example I used a wide angle lens on my camera positioned to capture the entire room in one photograph. This gives the viewer the full perspective of how the room is laid out and emphasizes the full width of the space by not cropping off either side. Ray Sheley III is the Owner of R3D Photography, a professional photography firm that specializes in architectural, real estate and commercial photography. 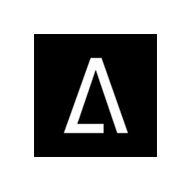 Ray is a member of the Association of Independent Architectural Photographers (AIAP) and has almost a decade of experience working with architects, engineers, developers, realtors and business professionals nationally to photograph their properties, projects or products for marketing purposes.